Located in the East of Asia, the terrain of South Korea is mainly mountains and hills which accounts for about 70% of the total area in South Korea. The mountains stretch along the east coast to the East China Sea, while along the coast in the south and the west is low mountains and coastal plains where gather the most agricultural crops in Korea, especially rice. 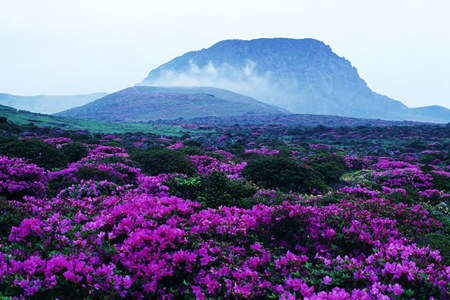 Korea includes 8 main regions and 1 Autonomous Region Jeju. The capital city is Seoul, with six central cities as Busan, Daegu, Incheon, Gwangju, Daejeon, and Ulsan. Korea shore excursions are the paradises for tourists with many famous scenic spots. Surely we will be familiar with this country through the popular movie. 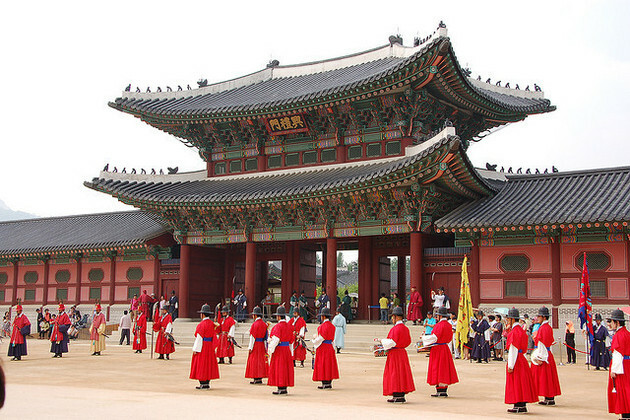 Korea tours can be the thing that you can dream about modern cities with beautiful scenery. 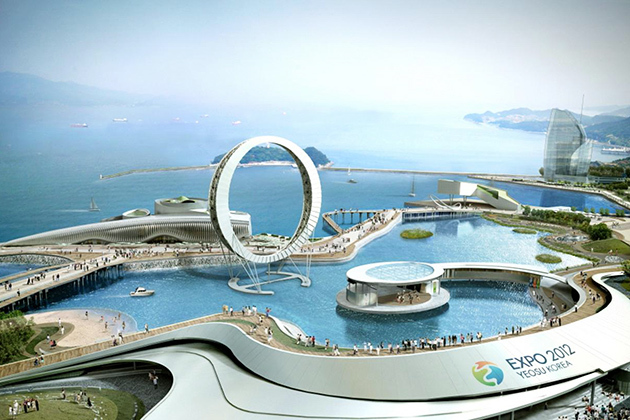 Asia Shore Excursions provides many interesting Korea shore excursions for cruise ship passengers at any ports in Korea. Have a look at our ready-made Korea shore excursions for your reference, if you do not find any suitable Korea tours or day trips, please contact us and our Korea tour experts will help you tailor-make a unique Korea shore excursion that exclusively for you. We will be in port on 8th September on the Mariner of the Seas docking at 0700. Thank you for contacting us. 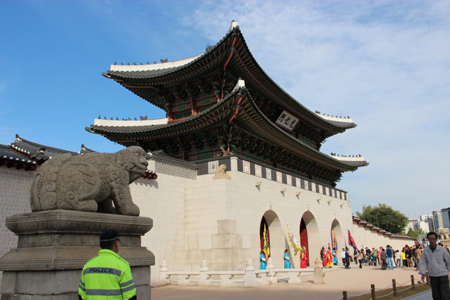 The detailed quotation for Seoul shore excursion has been sent to your email address. Please have a look at it and let us know if you have any other enquiries. Thank you for letting us know your travel plan. The detailed quotation has been sent to your email address. Please check it and let me know if you have any other enquiries. Thank you for your request. Please check your email for detailed quotation of Seoul private shore trip. Feel free to ask us any question you may have. We are interest in the Discover Seoul tour on 4/1/17. We are depart on the Crystal Symphony on 4/1/17 at 5PM. Can we do a 8-3:30 tour? What is the cost for 2 people? Thank you for letting us know your travel plan. The detailed quotation of this Seoul tour has been sent to your email address. Please check it and let me know if you have any other enquiries. Thank you for your request. Please check your email for more details and let me know if you need more information. Thanks for your request on Seoul shore excursion, we have dropped you the detailed quotation, please check your email. Korea – a small part of the East of Asia – has 70% of total area is mainly mountainous landscapes. Not only famous for ginseng and K-pop industry, this country is also an attractive destination for those who love traveling. Besides the capital city of Seoul, there are many places to explore in Korea such as Busan, Daegu, Incheon, Gwangju, Daejeon, and the autonomous region Jeju. Joining with Asia Shore Excursions, you can see that Korea is even more beautiful than in the romantic movie. Built-in over 700 years ago, Gyeongbokgung Palace is the most splendor and also the largest one of the Five Grand Palaces in the capital Seoul. With the name means “Greatly blessed by Heaven”, the palace was built in the heart of the city protected by Mount Bugaksan and Mount Namsan surrounding. Despite being destroyed by fire during the Japanese invasion, the palace was rebuilt and served as the main royal residence that is maintained till now. 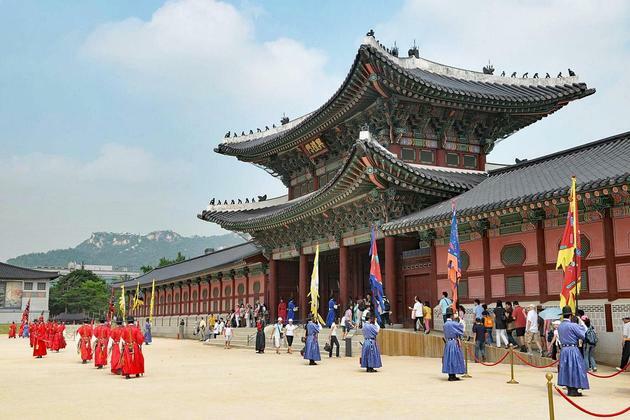 With the traditional Korean architecture inspiring by Chinese and Japanese, Gyeongbokgung palace including several ancient attractions inside its grounds such as Gangnyeongjeon Hall, Geoncheonggung Residence, Geunjeongjeon Hall, Gwanghwamun Gate, Gyeonghoeru Pavilion, and so on. 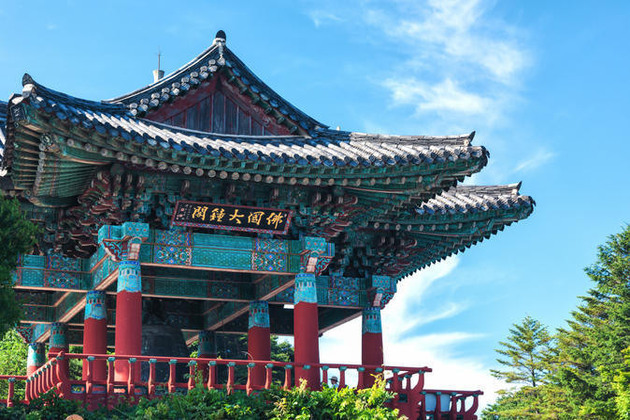 Moreover, you can explore the feudalist culture of Korea with a visit to the National Folk Museum and National Palace Museum which are also located in the palace. Known as the Seaside Cliff, Jusangjeollidae is one of the most popular attractions located at the end of the forest of pine. 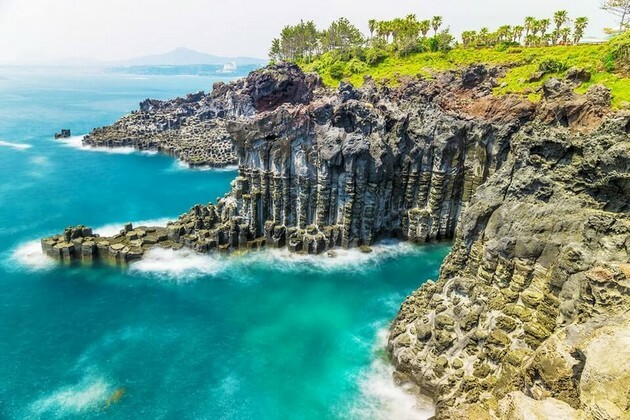 After a long time, the cliff is magically made with stone pillars which are created by the hot liquid lava of volcano Hallasan Mountain turning cold due to the strong effect of water sea. These stone pillars have the shapes of several skyscrapers standing side by side, combined with the white foam from the high waves crashing into the rocks together create a marvelous scenery. Was built in 678 during Silla Dynasty, the Beomeosa is one of ten HwaEom temples in this country which pursues happiness and generous life. In the past, the temple served as a school where several Korean great masters studying here. Right to the name meaning - the temple of Nirvana Fish, there is a gold-colored well that gold-colored fish came down from the sky playing inside. Not only being a religious site, the temple provides a lot of interesting activities and attractions. Meditate in Seonchaldaebonsan, clear your mind, erase all the useless ideas and depressed thoughts, then find yourself in peaceful and silence atmosphere surrounding. Have a visit to the Il Ju Gate leading to the sacred world of Buddha with the pure natural sight around with lush green forest under the clear blue sky. Upon setting your foot on the half-moon-shaped island, you can immediately marvel at the picture of roads lined up by beautiful vertical trees that no word can exactly describe. If you are lucky, some nice squirrels can closely jump around when you take some fascinated photos. 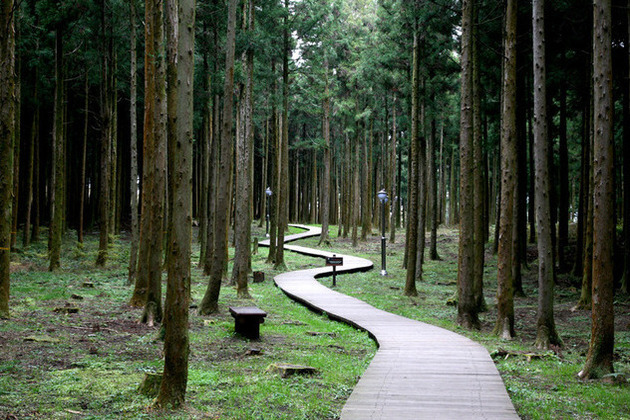 A fan of Korean dramas, especially the ‘Winter Sonata’ cannot miss the opportunity to visit the famous spots shot in the films. The “Couple Snowmen” which is built by the two protagonists when they have the romantic first kiss. Stroll along and you can see the real-size statues of them holding each other’s hands. Rent a bicycle and take a ride or hop on an electric train to have a mini tour around the idyllic little island. 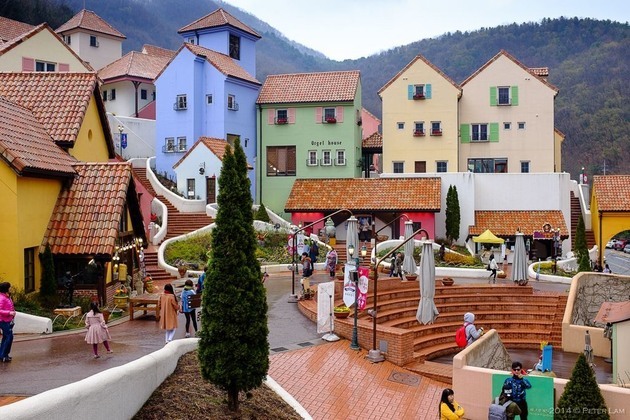 Right to the name, Petite France is a tiny France in the land of Korea where was the filming location of ‘You came from the Star’. This village is designed with the French style revealed in the famous novel ‘The Little Prince’, lined up by a variety of mischievous colorful buildings with the red roofs that you can see everywhere in the romantic country France. Hold on your camera and explore the pastel-tone architecture from European. Take a visit to the most famous theater in Korea where you can watch a short film about the Shilla Kingdom Dynasty – the Golden Kingdom of Korea. This Dynasty had the alliance relationship with the Tang Dynasty of China to conquer the whole Korean peninsula. The symbol of that dynasty is the magnificent gold crowns which are the most precious art objects of ancient South-East Asia. This UNESCO Heritage Site is a must-seeing place in Jeju if you want to admire the beauty of the sunrise on the seaside. The Sunrise Peak has the tuff cone shape formerly being the volcano erupted by sea water. With the steep slope to the height of 182 meters above sea level, it is not easy to climb the peak. But the view from the top is really worth your effort. There is a famous legend about the origin of Jeju – the Grandma Seolmundae who is the daughter of the Great Jade Emperor. Despite the prohibition of her father, she opened the sky and landed secretly. She made the Jeju island and her wash basket was Seongsan Ilchulbong. The palace was built during the Silla Dynasty with the national banquet hall celebrating and holding important events. Due to its importance, the structure and architecture are so unique that can make you breathtaking at the first sight. Inside the palace, small mountains were created with colorful flowers and lush green grassland surrounding. Rare animals also were nourished in the ground that creates an exotic royal garden. It is not hyperbole when saying that there is no bad time to visit Korea Shore Excursions. However, beautiful sights in this country change depending on seasons. A year in Korea is divided into four seasons: spring, summer, autumn, and winter with different features revealed in temperature, humidity, and rainfall. 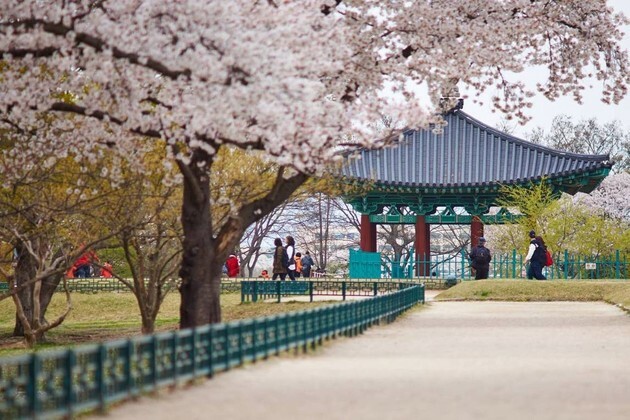 General speaking, the peak season for tourism is springtime running from April to June with fully blooming cherry blossom covering all the country with purely pinkish white. Various local festivals are held in many streets and towns from north to south. Spring in Korea lasts during the time of April to June, bringing a pleasant weather that is comfortable for a Korea shore excursion. The pink-white color dominates the country dotted with green leaves somewhere over the streets. 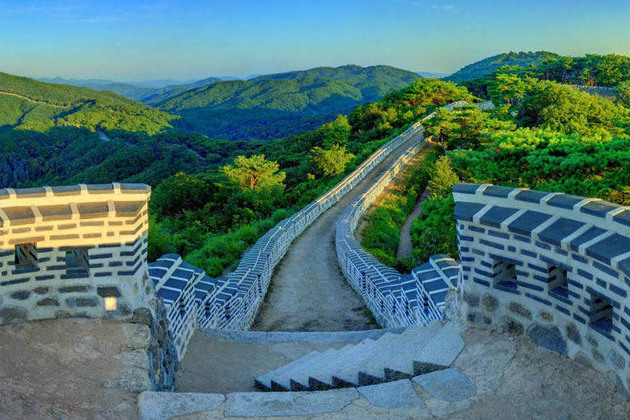 Visit Korea shore excursions during springtime, you can enjoy mostly sunny days and inclement temperature which makes the country become more popular in tourism map and attract crowed travelers. The delighted weather paints the ancient palace Gyeongbokgung with beautiful colors making Seoul shore excursions become a cannot-miss experience. Besides, various spring festivals are taken place throughout the country with different traditions and activities. Join one can create the most unforgettable experiences. 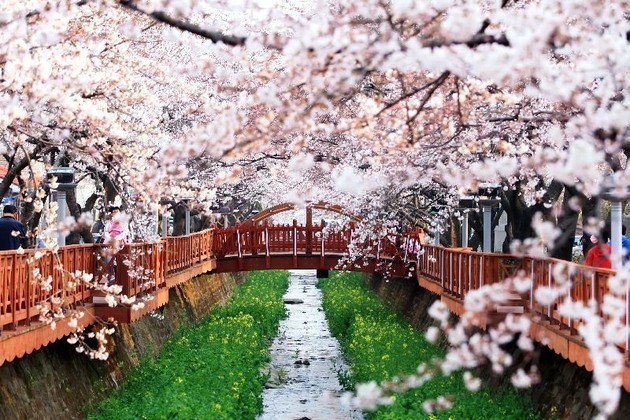 Moreover, national parks are also best tasted in spring, including Songnisan, Seoraksan, and Jirisan. Although Korea locates in the Northern hemisphere which is colder than other regions, summertime, lasting from July to August, is generally warm. This season sees the beginning of monsoon rains which dominate the country with unpleasant warm and humid weather. The average temperature is commonly 22°C along with the highest rainfall. However, in some years, the heat rises extremely high over 35°C with annoying rain. Due to the not-very-nice weather, travelers often avoid this season. However, visit Korea tours during this time is not a bad idea if you want to soak in air-conditioned spaces in big cities such as Seoul, Busan, Incheon, Daegu, Gwangju, etc. Besides, enjoy a Busan shore trip on the well-known Haeundae Beach is also a great suggestion. 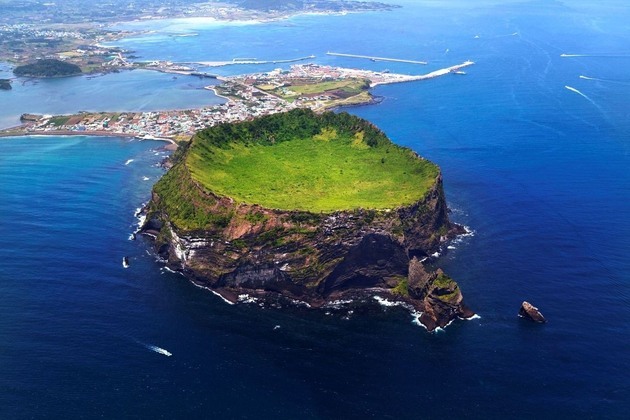 Spending an interesting holiday on Jeju Island in summer is always on the top list to do in the note of travel-lovers. The rain leaves the country with wonderful shades from bright red to the orange of autumn leaves dominating. 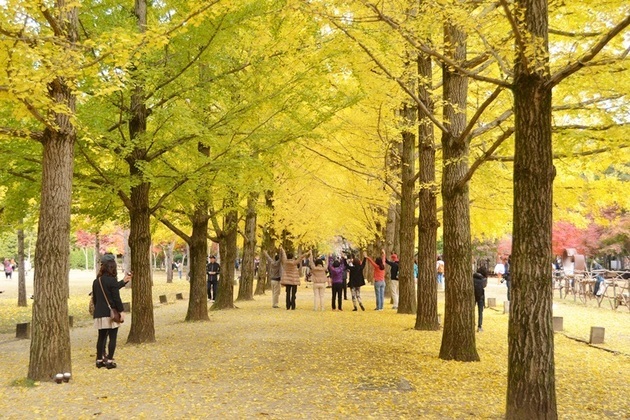 Rainfall decreases markedly, the temperature is mild and pleasant, and the natural sights are beautifully unadulterated, autumn, which runs from September to November, has the same weather with spring and is also the peak time of tourism to visit South Korea tours. Leaving the muggy heat and rainfalls of summer behind, the country baths in lively colorful festivals held throughout the territory. The autumnal landscapes are dotted with crowds of famous attractions. In October, the weather is a little complicated that some people just need a normal T-shirt while others would like to put into some extra layers depending on their physical condition. The final season of the year is a time for the cold dominating all the country. Wintertime is from December to March when purely white snow falls down covering all the land. People tend to avoid the cold, but the cold in Korea tours is mild and acceptable if they dress warmly and freely enjoy a stroll through crisp snow. Winter is the time of freezing cold which always comes with dry air. Romantic views are easily caught when couples hugging together to avoid the cold. Although the snow creates a thick layer on the ground, transportation still runs as normal in other seasons. Many activities can be enjoyed such as skiing and snowboarding. Same as many other countries, to take Korea tours, visitors must hold a passport valid for more than 6 months from the entry date. There are 117 jurisdictions in the world that citizens only need passports to enter South Korea and can stay from 30 to 90 days, especially, only Canada citizens can enter the country for up to 180 days. Chinese people coming from the airway with a group operated by travel agencies to Seoul, Busan, Yangyang, Cheongju, and Muan can get visa exempt for 5 days, and Jeju for 15 days. Transit travelers from other countries except Sudan and Syria don’t have to hold a Korean visa in case they stay within the transit area for less than 24 hours in Incheon Airport and until midnight in others. The development of South Korea’s economic comes with modern technology applied to daily life. One of the most common communication services is by phone. In the arrival lobby at Incheon and Gimpo International Airports, tourists can easily rent mobile phones which adapt with network providers in Korea such as LG, SK, and KT. Moreover, payphones accept coins, prepaid cards, and credit cards are installed at the airports, subway stations, and many attractions throughout the country. 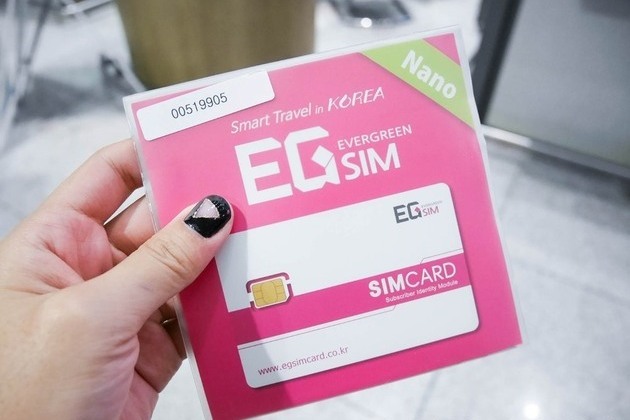 They can also by prepaid SIM cards in Incheon Airport to access the internet everywhere with many available packages. Besides, the internet is widely provided in airports, stations, shopping centers, restaurants, and coffee shops in big cities such as Seoul, Busan, Jeju, and so on. 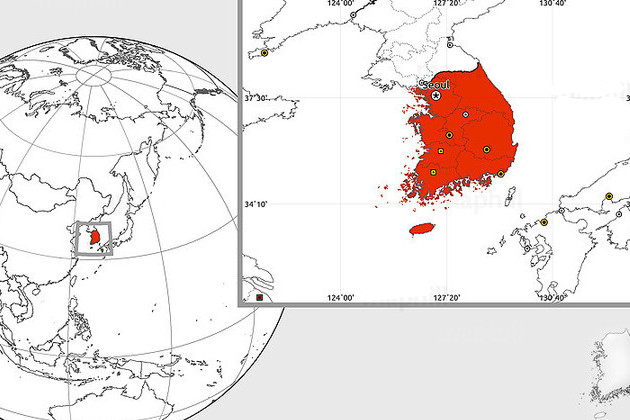 Korea is a small peninsula located in the East Asia which is between China and Japan. That is the reason why Korea has many same features as these two countries both on culture, tradition, lifestyle, and language. 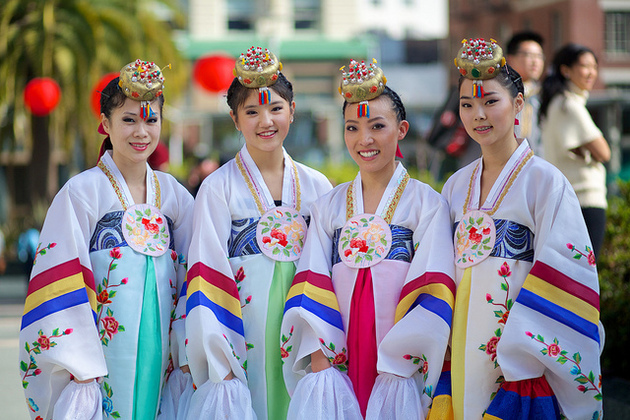 Korean people are the descendants of Mongol immigrants from thousands of years ago. 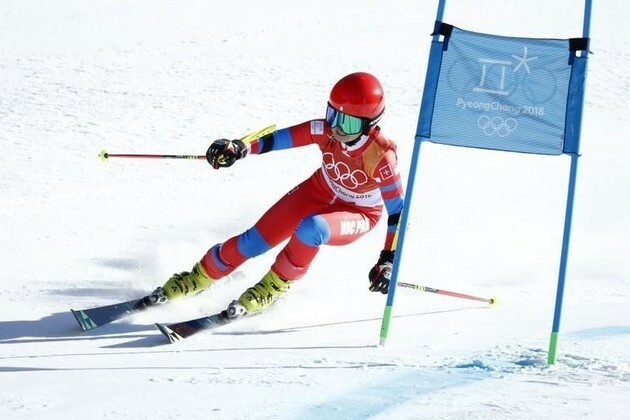 They are famous for the endurance and dynamism. Their unofficial slogan is “work hard, play hard” that is applied to everyone’s daily life. Besides, they also have the good sense of humor revealed in Korean folk songs, modern comedies, entertainment programs, and so on. 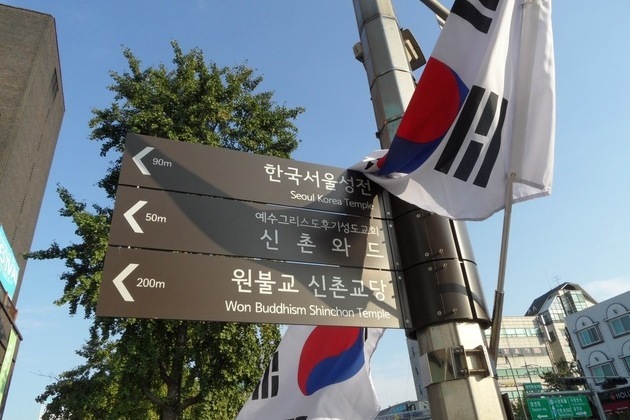 Although South Korea becomes to modernize rapidly, its traditional values are still maintained very well. The rural areas always come with a poor relative town and traditional houses in spite of the fact that millions of Koreans living in apartments nowadays. The local language with a different accent is spoken between regions to regions. However, if you can speak a little Korea, no matter the accent is, they can understand at least 80% of what you say. The cuisine in Korea shore excursions is really diverse. Commonly, rice or food made with flour is a compulsory part of every meal. 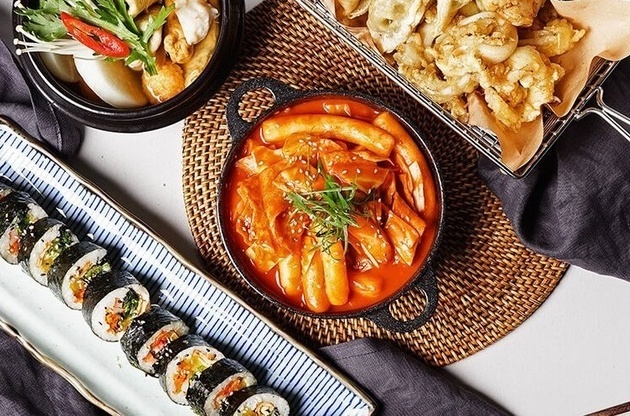 Most people, sitting on the floor under a low table, use chopsticks and own bowl to pick up food including traditional dishes such as kimchi, steamed vegetables, meats, fish, squid, and many others. When they celebrate an event or go out with friends, Korean people usually enjoy a bulgogi (barbecued grilled meat) or chicken galbi and drink beer in a local restaurant. Nowadays, due to the cross culture between Korean and Western countries, many urbanite wealthy citizens enjoy toast, eggs, milk for their breakfast, and seafood, steak, pasta for lunch and dinner. The transportation in South Korea tours has the immense network which is very convenient for both local people and foreigners. 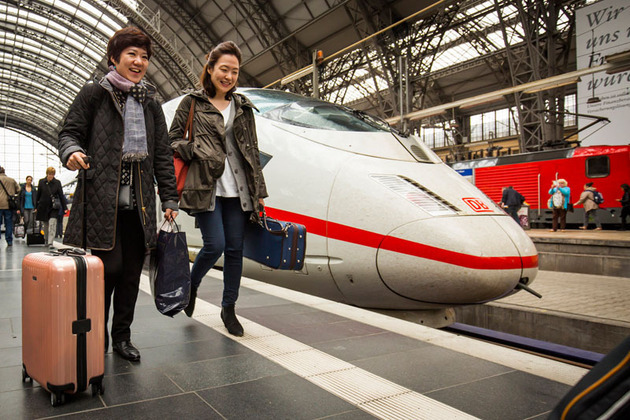 There are many ways to transfer from big cities to other areas such as railways, buses, cars, ferries, and airplanes. When visiting this country, the most common transportation is the local bus which has the route all around the country. Moreover, Korea is also the third country in the world that have the network of commercial maglev trains. 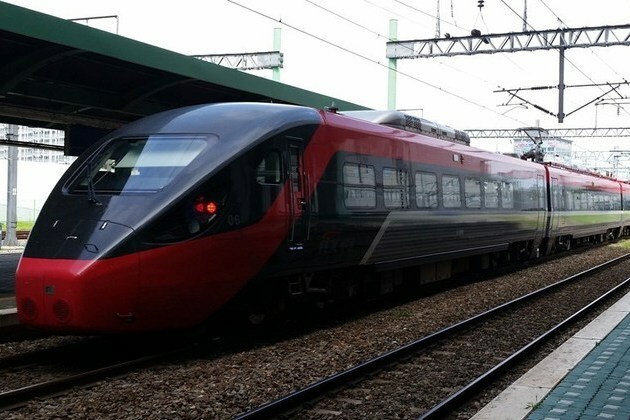 The train is one of the most popular transportations in Korea which mostly arrive on time. The cost of transferring is cheaper and easier when you have a Korea T-money card. The only thing you have to do is tap this equivalent card when you hop on or off the train. Commonly, each ride can cost 1,250 won. If you go somewhere further, you would pay for the expense cost around 100 – 300 won. Want a private space even though you just on your way? 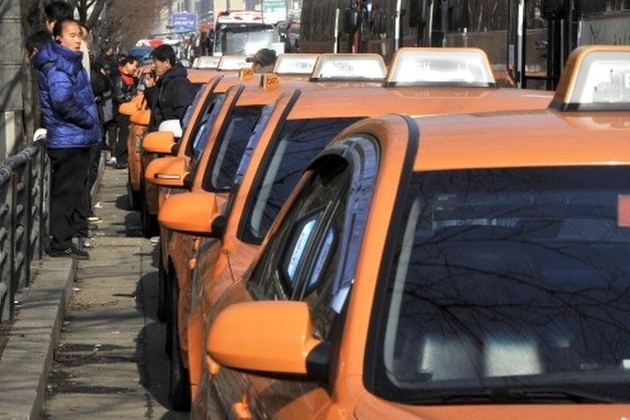 Choose orange or silver taxies, not the black ones which are more expensive. Note that check out the meter is switched on and run in the right way. Sometimes, you can meet a driver want to raise your fare to 5 times than normal. A room in the luxury hotel is not necessary unless you are used to living in a high-class life. Beside, hostels are really nice to stay overnight with a cheaper price for the normal quality of services. Some cheaper choices are couch surfing, homestay, and dorms. 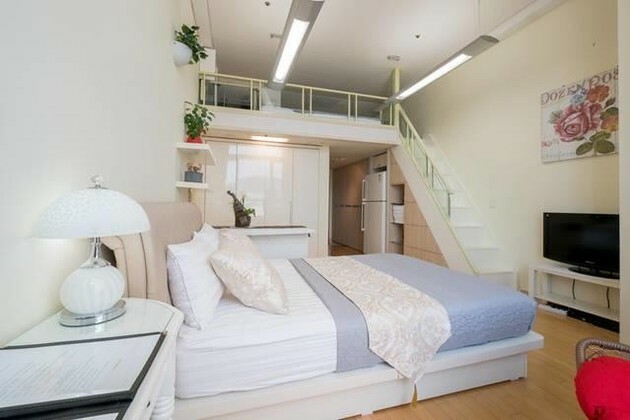 The price for a dorm room starts from 10,000 won per night depending on your comfort level. If you want a private space with your own toilet and bath, a hostel is still the best choice. For saving your wallet, sample Korean food in local restaurants instead of sticking to Western-style cuisine such as burger, steak, omelet, and so on which are both more expensive. 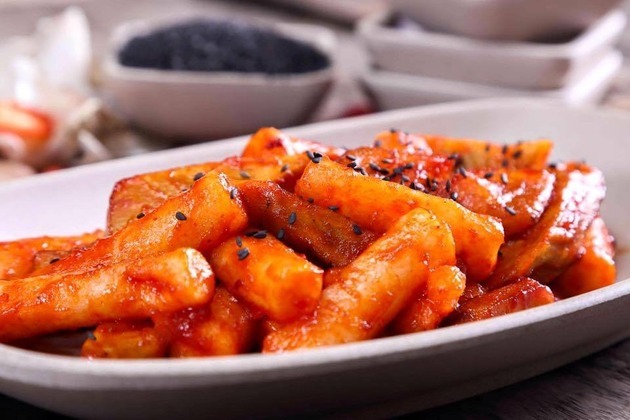 Enjoy a hot bowl of tteokbokki – the rice cake and fish croquette boiled in the spicy sauce – selling in most street vendors of Korea which just cost around 2000 – 3000 won. 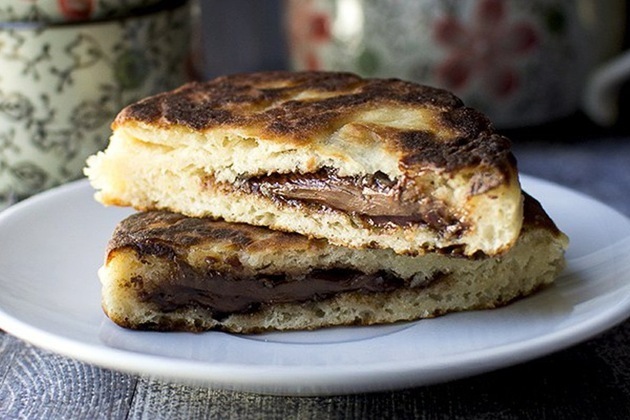 Especially, if you are a sweet-addict, try the egg bread—cornbread with an egg omelet inside or hotteok - a round-shape cake with inner topping is honey dotted with chopped peanuts which both costs around 1,000 won. Other street foods such as fried fish cakes, corn-dogs, and fried squids often demand a price of 7000 – 8000 won. Of course, both Korean people speak Korean. Different than other developing countries, Korean people are not really good at English due to their accent. You have to prepare for the case of street vendors cannot speak English even though this country has many tourist areas. Body language and better a little of common local phrases are necessary when you visit Korea. However, some street signs are required with English instruction below. This country is trying to create a comfortable and convenient residential space for everyone coming by freely providing one of the most common demand – drinking – by various water dispensers founded at train stations, food courts, airports, and other public places. You can fill your bottle with both cold and hot water which is convenient to enjoy a noodle cup.